The substantial support that NRA enjoys from America's working families is not something that strikes me as a problem. What is our problem is the growing field of entities--even if they exist just on paper--who claim the support of gun owners and hunters, while quietly admitting their true agenda of working at cross-purposes to our mission. 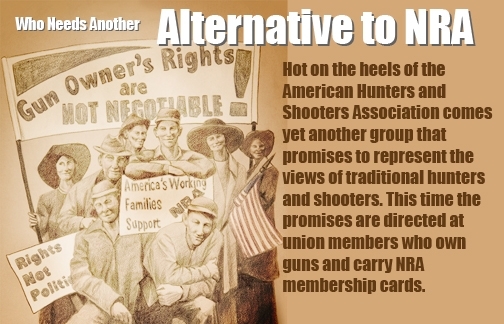 Even the jaded cynics at the gun-ban group Violence Policy Center are giddy about the prospects for the USA, while admitting that the "alternative to NRA theme" is now thoroughly discredited. VPC's Josh Sugarmann wrote in his blog: "The gun debate is littered with defunct organizations that promised to represent the views of traditional hunters and shooters and stand as 'the good NRA.' "